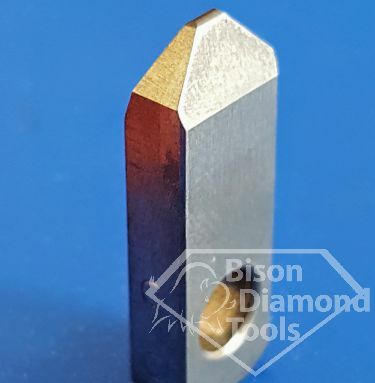 Synthetic Diamond Insert 2mm x 3mm x 4mm is set on the centre into rectangle blade 5mm thick x 10mm width x 30mm long with 0.25mm (0.010'') - 0.5mm (0.020") lapped radius with 40 degree included angle and 6mm mounting whole. 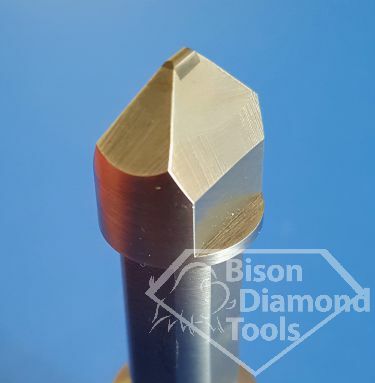 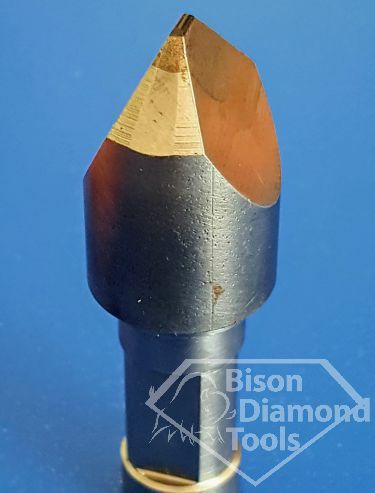 Synthetic Diamond Insert 2mm x 3mm x 4mm is set on the centre with 0.25mm (0.010'') - 0.5mm (0.020") lapped radius with 55 degree included angle. 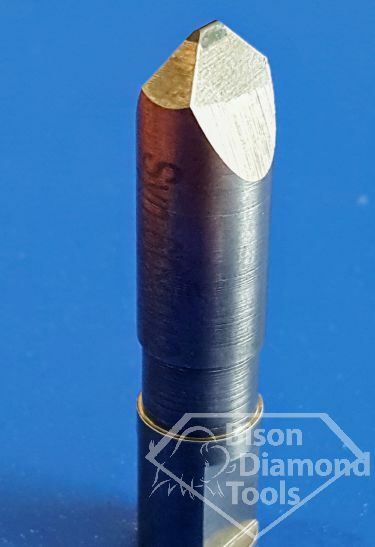 Number 1 Morse Taper 20mm long shank. 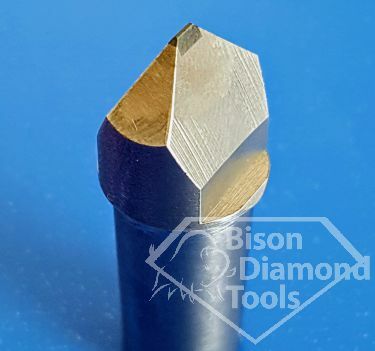 Synthetic Diamond Insert 2mm x 3mm x 4mm is set on the centre with 0.25mm (0.010'') - 0.5mm (0.020") lapped radius with 55 degree included angle.